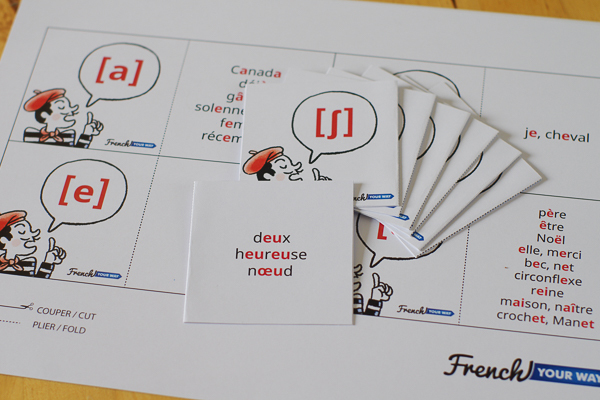 This set of IPA flashcards will help you learn and remember the different sounds used in the French language. The sounds are written in IPA (International Phonetic Alphabet) symbols, which are important because they’re the only reliable indicator for the correct pronunciation of words. 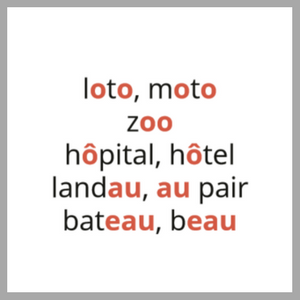 While you don’t have to learn the phonetic symbols by heart, it’s therefore a good idea to be able to refer to them! For instance, I always use the IPA in my comprehensive online course “How to sound like a native French speaker”, never an approximation of the pronunciation written with the standard alphabet. 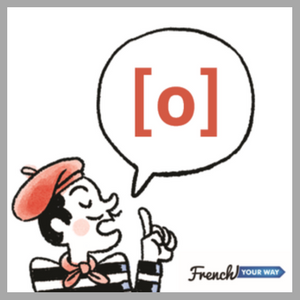 You can also use the French IPA flashcards as a quick reference chart listing the different possible spellings for the same sound ? Examples of words showing the different possible spellings for the sound (in red). 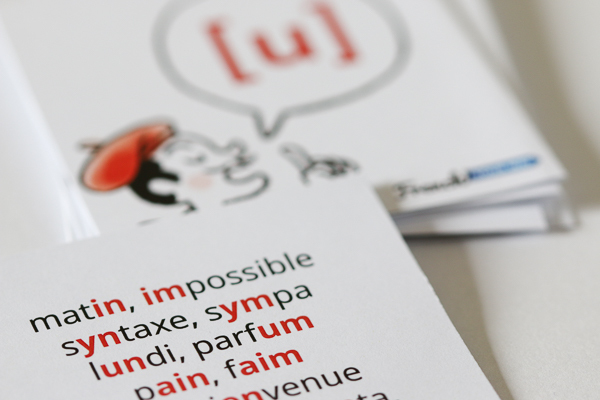 A 10-page PDF file featuring a total of 35 French IPA flashcards. Simply download and print. When you by this product, you’ll receive a digital version of the cards to download and print. 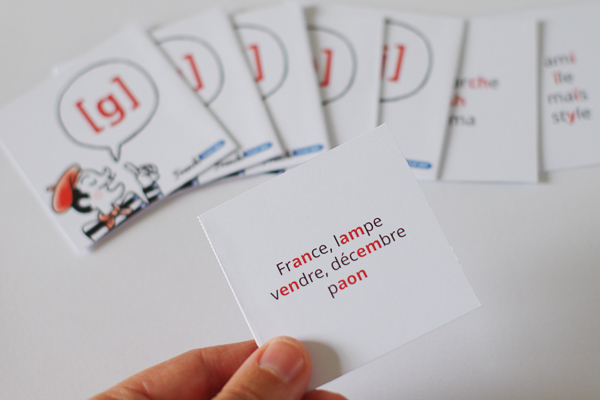 The French IPA flashcards can be used alone or as a complement to my course “How to sound like a native French speaker”. I’ve worked with a talented Canadian designer to create this unique set of cards for you. I hope you’ll love them and find them useful! ? A set of IPA flashcards costs US$9.95.